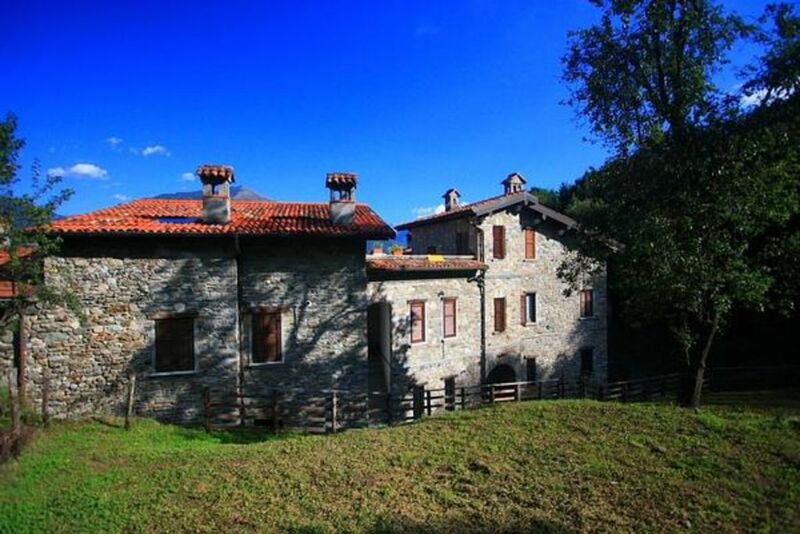 Antico Borgo is a beautiful old stone building that has been recently renovated. The Borgo is perfect for family vacations on Lake Como. We have three apartments within the stone building. If you are holidaying with friends, the Borgo offers you the option to have separate accommodation within the same setting and shared outside space. Our apartments all have two bedrooms and access to outside space. The Antico Borgo is situated in a tranquil valley with a beautiful lake view. It offers three apartments with all you need for your “out of the way” holiday on Lake Como. Antico Borgo is located in the upper part of the village with a beautiful lake view. The Borgo is easy to reach, only a few minutes from the main road but in a tranquil location surrounded by green fields and next to a mountain stream. The 3 apartments all have their own independent entrances and are very distinct from each other so you have all the privacy you need. There is also a shared outside garden area with a picnic table for relaxation. Il Borgo III consists of 2 double bedrooms, a fully equipped kitchen, a comfortable bathroom and a wide living room with lake view. Wi-Fi is available , A laundry room on the ground floor is available. Patio and picnic tables, garden furnitures and children’s play area with swings all form part of the shared outside space at Antico Borgo. For kitesurf and windsurf lovers it is the perfect location due to the perfect wind to practis those activities. Beach restaurants and bars wil be at 10 minutes walking from the property so as a boat stop and a bus stop. Cot for children: once per object for rent at a price of 100 EUR (optional). Fuel for chimney/fireplace: per object and day included in price (Mandatory). Pet: per object and day Costs amounting to 10 EUR (Mandatory). Final cleaning: per object and week Costs amounting to 80 EUR (Mandatory). Cot (once per object, Costs amounting to 100 EUR).